Edge Shears Manufacturer in Taiwan - Wise Center Precision Appliance Co., Ltd.
Our ideal for cutting a wide variety of materials including denim, leather and multiple layers of fabric. The edge shears is extreme sharp. If the operation or use undeserved, can cause serious bodily harm. Whether to use or store, the various parts of the body should keep a safe distance with cutting edge. Since 1991, Wise Center Precision Appliance Co., Ltd. has provided the edge shears with innovative designs, reliable manufacturing, high quality standards, competitive pricing and low life cycle costs. We test our products on various quality parameters to ensure the quality of our products. Besides this, through offering products competitive prices and adhering to on time delivery schedule, we have developed healthy business relationship with our variegated clients. 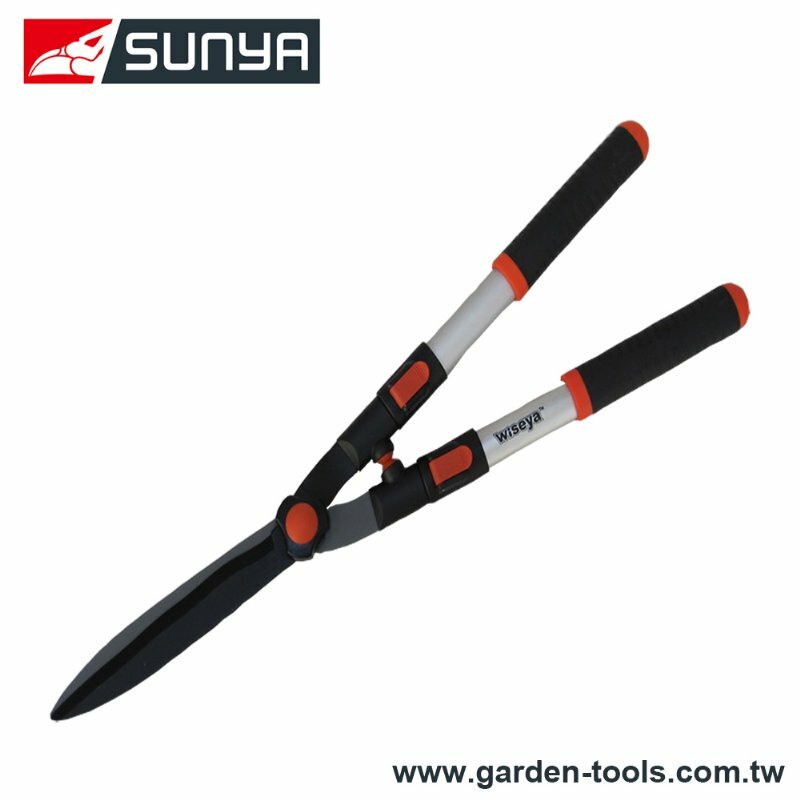 Hedge shears is used in trimming the grove or finer branch. The types of blade head are between Wavy and Straight. Dear Sir/Madam, I’m interested in Telescopic handles Wavy Hedge Shears, 23002E that your company provides. Would you kindly contact me with your detailed product information and FOB price? Thanks. At Wise Center Precision Appliance Co., Ltd., we know edge shears and we’ve got the ranges and the prices to suit your needs. Our system is designed to fit the customer’s standards, as well as applicable domestic and international standards. For us as well as many others, it is important that the edge shears both tastes and does good. Our customer-focused attitude has empowered us the potential to win the trust of reputed clients of the market. We put consistent effort to ensure that clients are served with high quality products that assure hassle free functioning and render consistent performance for longer period of time. If you have any questions, want to buy in bulk, or have us give you a quote for a Hedge Shear to fit your needs, please email to us.